How are you doing all??? Are you enjoying the winter? I am not and don’t know why. 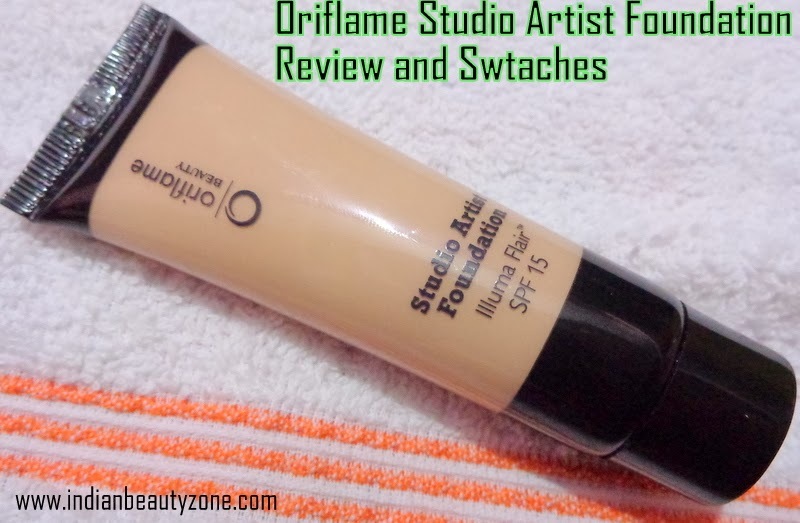 Well, today I am going to share my opinion on Oriflame’s Studio Artist Foundation in shade Fairy N**e. It is my first foundation , before that I have used the lakme foundation (that glass bottle one)once only some years ago. I can’t compare that lakme one with it because that time I had zero knowledge on makeup. And now after entering into this vast blogging world I have got some knowledge on application of makeup,importance of makeup,etc.. 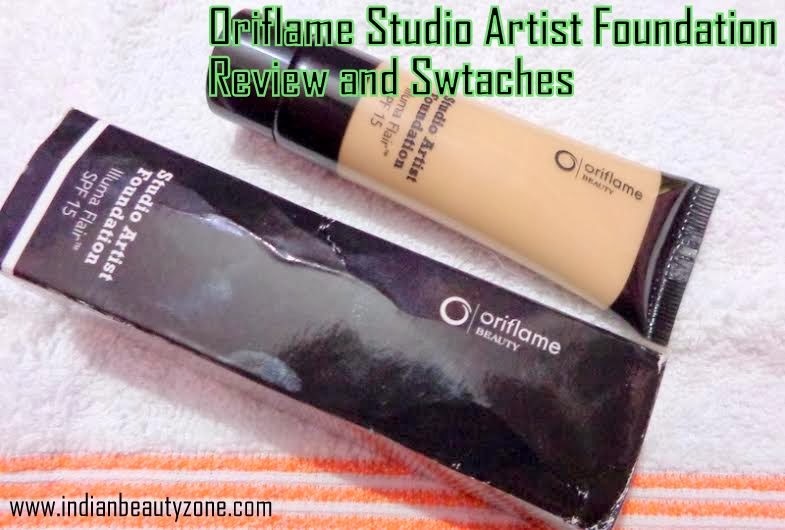 Hence I count this Oriflame one as my first foundation.. Available through Oriflame consultants at offline and also you can buy online at Ebay.in. There are 5 shades available in the studio artist foundation range of oriflame and all the shades are formulated as per Indian skin tones.. I have the shade fairy n**e. As I have said before that it is my first attempt on foundation,I was a little confuse while buying this .. From catalogue you can’t decide whether the shade match ur skin tone or not, but after receiving when I applied it on my face,I was just shocked.. I can’t believe how this little tube maked my face brighter ..That means this shade suit my skin tone properly…I felt relaxed that I haven’t waist my money by buying this…Now you might got an idea that it is my best foundation..
Ok now move to its packaging,texture and other qualities one by one..
Packaging is very simple and classy. It comes in a translucent plastic tube with a black screw cap which makes it sturdy and hygienic .. 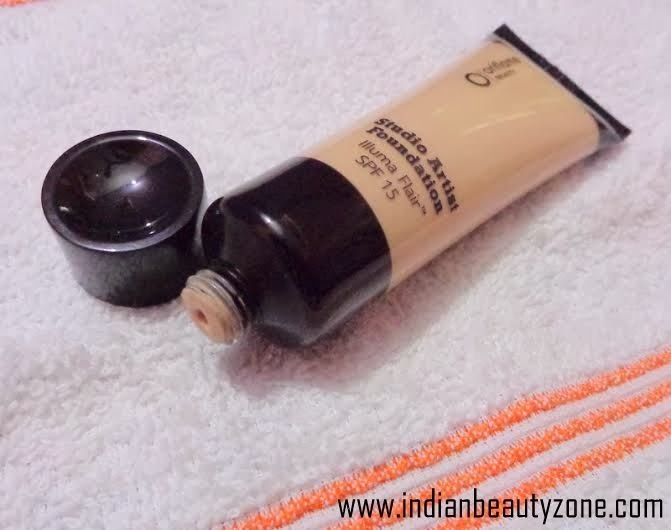 The tube again comes inside a black cardboard box which contains all necessary information regarding this foundation like ingredients,mfg.date,exp. Date,price,etc. The texture is not so thick nor so thin,just perfect for application. A little amount enough to cover the whole face as it spreads easily and effortlessly.. You can use foundation brush or finger tip to blend it properly (I use finger tips). After application it gives a instant brightness to my face which I love most.. It doesn't give that cakey look to my face. This foundation is not so much pigmented. It can cover slight blemishes or spots but not heavy ones.. 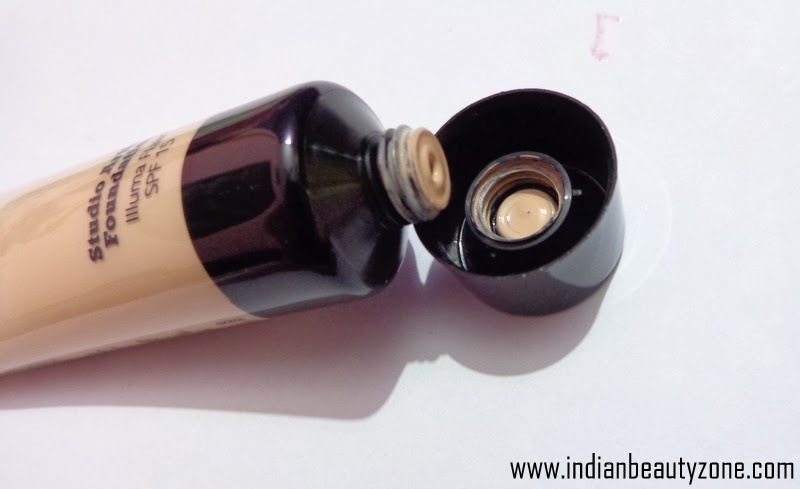 I have not any spots but have dark circles under my eye and this one gives medium coverage to those dark circles. I need a concealer to cover that.. I have dry skin type now in winter and I apply it with my daily moisturizer for better result. I have doubt on its staying capacity.. I think it says for 5-6 hours without any touch which is a little less as compare to its price. The smell doesn't irritate sensitive noses at all. It has SPF15 which is great. 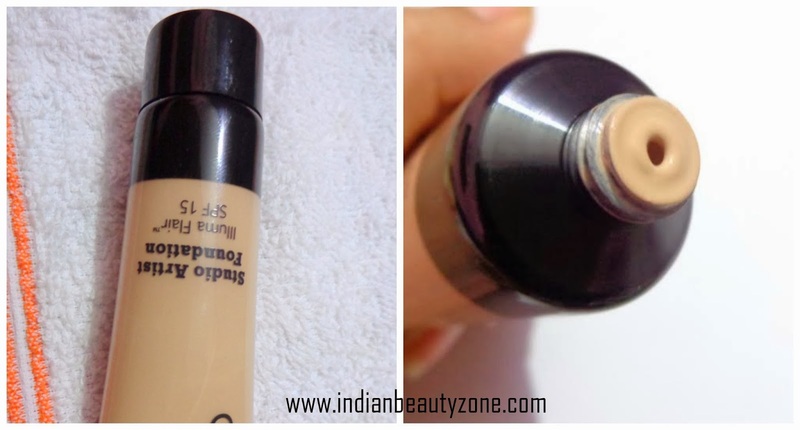 Inspite of having SPF it photographs well and I think it is the best quality of a foundation.. It is a great choice for daily use purpose. Now see its pros and cons in short.. 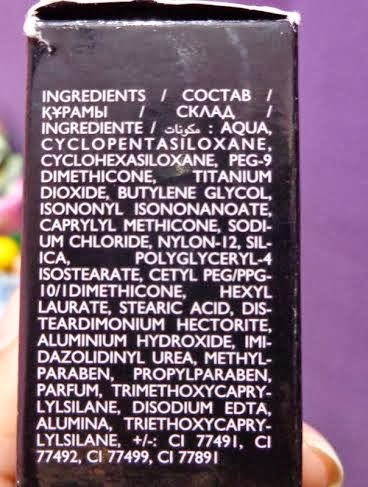 If you want to try a decent foundation for daily wear purpose then do a try it.. Better buy it on offer and Oriflame gives offer most of the times..